Imagine, for a second, a long-lost and filthy rich uncle invites your family over for Christmas. Under the tree is every imaginable gift to make up for his years of absence. (It’s a stretch, yeah, but play along.) The kids tear through the paper revealing massive gifts that somehow weight a ton. Now, how will you get these presents home? Well, luckily there are pickup trucks built to handle the load. General Motors, Ford, and Ram’s offerings have all grown exponentially capable over the last decade, with some hauling and towing more than ever though possible. In many cases, a commercial driver’s license is needed to stay legal. 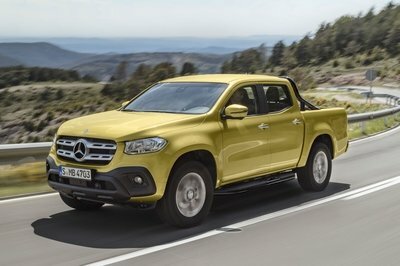 Here, we’re going to focus on one-ton trucks with single-rear wheels and achieving the maximum payload capacity. So, if you’re needed a truck that can haul, this is for you. Continue reading for more Christmas cheer and pickup specs. Coming in at third on our list is the Ram 3500HD Built as a regular cab and long bed, the single-rear wheeled Ram is capable of carrying 4,140 pounds in its bed. That’s pretty impressive when compared to a half-ton or even three-quarter ton truck, but doesn’t quite stack up to the one-ton competition. Unlike the Ram 1500 and 2500 models with their multi-link and coil spring rear suspension setup, the 3500 uses a traditional leaf spring design. The thick leaf pack affords more weight tolerance, though at the compromise of unladen ride quality. Still, when it comes to moving heavy objects, the Ram 3500HD does a fine job. 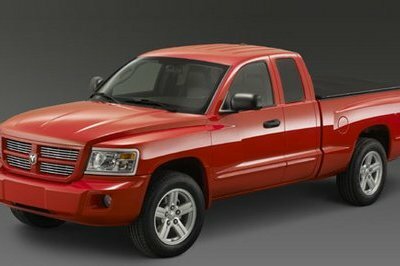 The Ram requires the larger gasoline engine option – the big 6.4-liter Hemi V-8. 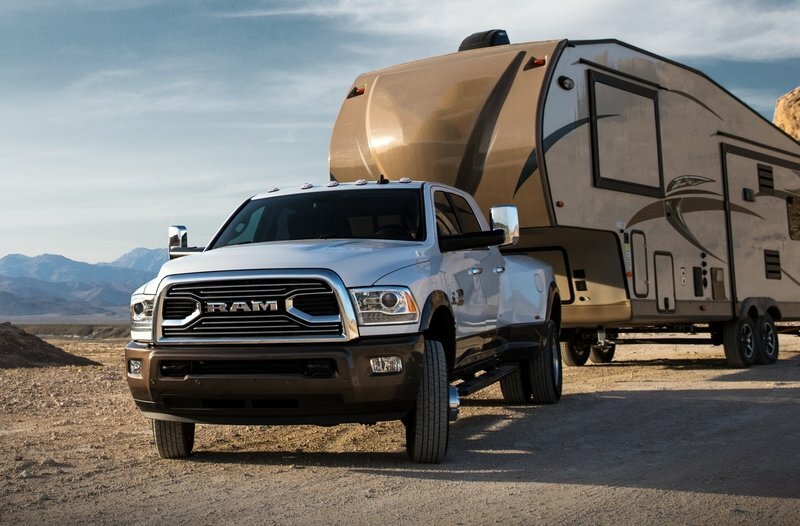 While you’d think the 6.7-liter Cummins inline-six would be the better choice for heavy hauling, the turbodiesel’s weight adds to the Ram’s overall curb weight and therefore directly drops the available payload capacity. It’s worth mentioning that by opting for the dual-rear wheels, the Ram 3500HD’s payload shoots up to 7,350 pounds – the most of three trucks with the dually option. Prices for this particular 3500HD SRW with a 4,140-pound rating start at $33,790. Read our full review on the 2018 Ram 3500 Heavy Duty. 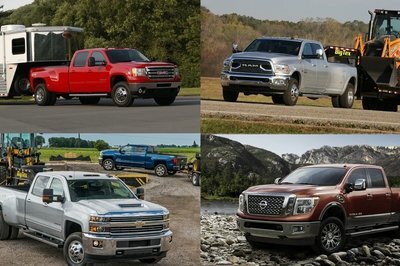 The Chevy takes second place in this comparison, much like it does in the sales wars. 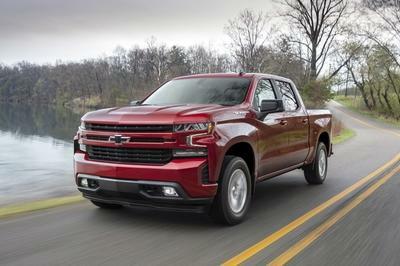 Built as a 3500HD with the regular cab and eight-foot bed and powered by the 6.0-liter V-8 and with rear-wheel drive, the Silverado will haul 4,390 pounds in the bed. 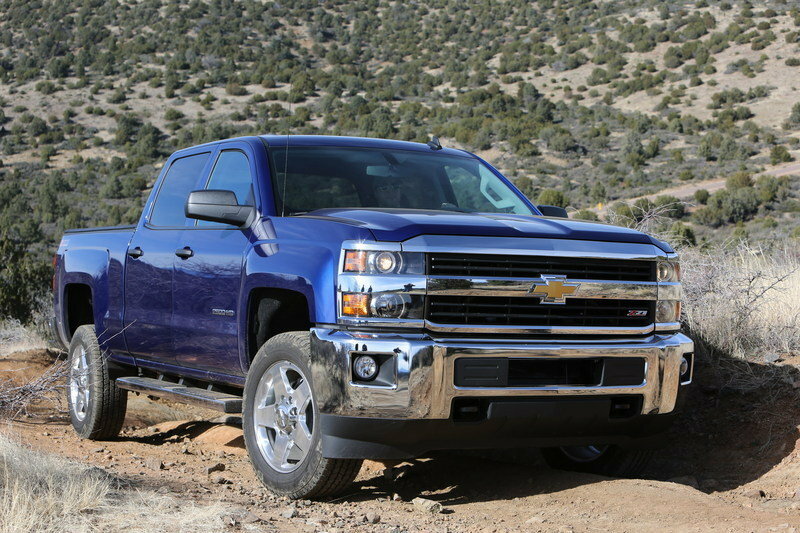 The Silverado also requires the 11,100-pound GVWR weight rating option to be selected. As with the Ram, the Silverado 3500HD with dual rear wheels is capable of hauling much more. 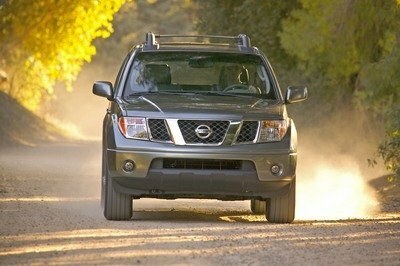 In this case, it’s 7,153 pounds – again with the gasoline engine and rear-wheel drive. Pricing for this specifically configured truck starts at $44,720 in the base WT trim. That’s a hefty increase over the Ram’s base price. Defying conventional wisdom of cab and bed configurations, reaching the maximum payload in the 2018 Ford Super Duty without dual-rear wheels requires the Super Cab and long bed configuration with 4WD. Set up this way, the F-350 will haul 4,710 pounds in its aluminum bed. 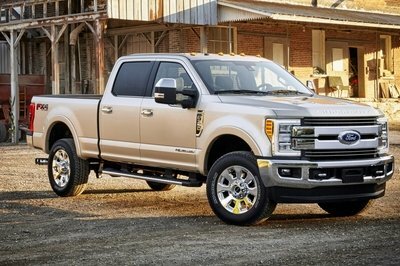 The 6.2-liter V-8 and six-speed automatic transmission are required, along with the 11,500-pound GVWR. Like the Silverado and Ram, the Ford Super Duty’s payload rating jumps significantly when adding the dual-rear-wheel option. In that case, the F-350 Super Duty will haul 7,630 pounds. 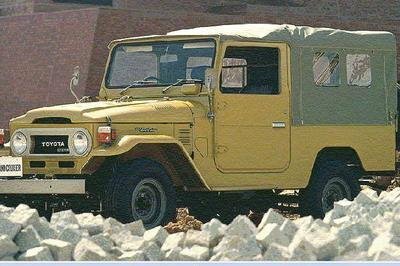 That configuration requires the regular cab, long bed option with rear-wheel drive. 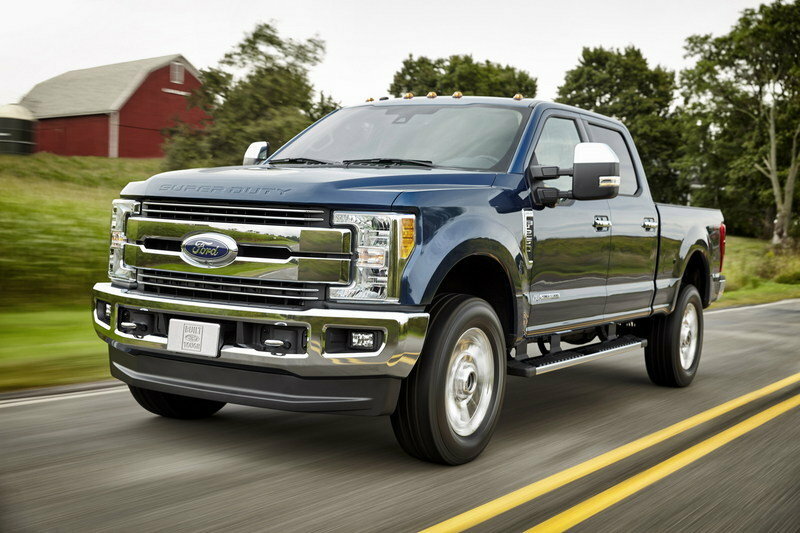 Read our full review on the 2017 Ford F-350 Super Duty.